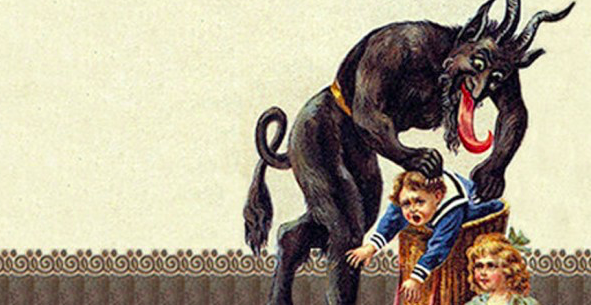 What does the myth of Satan have to do with the Christmas tradition? As it turns out, just about everything. The Internet’s stupidest new Satanic Panic “Pizzagate” conspiracy (marketed by nameless fraud #QAnon) takes the conspiracy game to its inevitable climax. From Jerusalem to Trump to Roy Moore, millions of Americans consider politics in the context of, “What can end the world fastest?” That’s not normal. YouTube nut “A Call For An Uprising” declares inverted Christmas trees are a Satanic plot to “change everything.” I confess: He’s right.